Editor’s Note: As we approach the November General Election, The Daily Sentinel will be running articles allowing the candidates in contested races to introduce themselves and tell the voters why they are running for office. Each candidate is asked, in their own words, to respond to two questions — tell us about yourself and why are you running for this office. 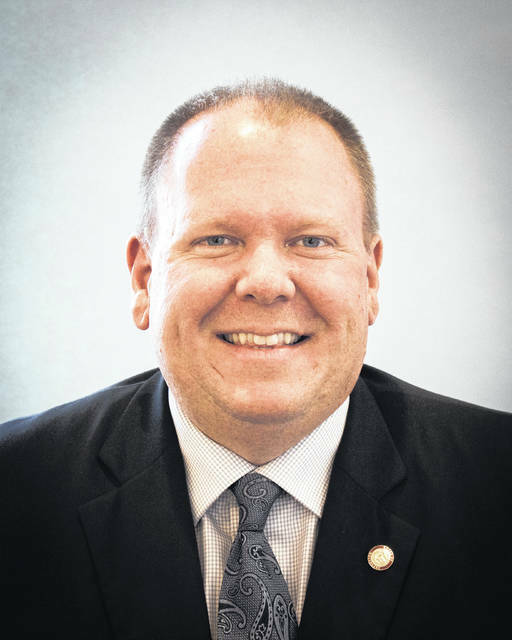 POMEROY — Michael “Mick” Barr is one of two candidates for Meigs County Court Judge. My name is Michael L. Barr, but those that know me call me Mick. I am running for the position of Judge of Meigs County Court. I am a lifelong resident of Meigs County, graduating from Meigs High School in 1998, before graduating with honors from Ohio University in 2003, and with honors from Capital University Law School in 2008. I am licensed and actively practice in both Ohio and West Virginia, as well as in the federal courts of both states. Immediately following law school I joined the law firm of Little, Sheets & Warner. On Jan. 1, 2012, I became partners with Douglas W. Little and Jennifer L. Sheets, forming the law firm of Little, Sheets & Barr. As a general practitioner in a small town I serve a variety of individual and business clients, and am well versed in all areas of the law. I serve as the District 17 representative to the Board of Governors of the Ohio State Bar Association, advancing the interests of more than 22,000 attorneys and judges across Ohio. Additionally, I am a member of the Meigs County Bar Association, Meigs County Chamber of Commerce, and a member of the Board of Directors of the Meigs County Community Improvement Corporation. I am an active member of the Pomeroy Gun Club, the Buckeye Firearms Association, and a lifetime member of the National Rifle Association. My family and I are parishioners at Sacred Heart Catholic Church in Pomeroy. I am the son of Michael and Margaret Barr of Hemlock Grove, the grandson of Mildred Riggs and the late Harley Riggs of Rocksprings, and the late Alpha and Elvira Barr of Langsville. My wife, Danielle, is a certified MRI/CT technologist. We have a son, Nolan, and a dog, Pennylane. I am running for the position of Judge of the Meigs County Court to help the people of Meigs County. In January 2017, my friend and colleague, former Meigs County Court Judge Steven L. Story, discovered that he was ill and would have to miss a great deal of time from the bench. He appointed me as Acting Judge of the Meigs County Court. I was honored to serve in that position for 18 months, until Judge Story passed away in June 2018. During my 1 ½ years as Acting Judge of the Meigs County Court, I gained invaluable judicial experience, and saw first-hand the opportunity available to the Judge of the Meigs County Court to help battle the opioid epidemic we presently face. Because the Meigs County Court hears misdemeanor criminal matters (felonies are heard in the Common Pleas Court), this Court plays a crucial role in the criminal justice system. Very rarely is a person’s first criminal act a felony; often, the person that commits a felony has committed misdemeanor crimes in the past. If elected, I will use every tool and resource available to the Judge of the Meigs County Court, including but not limited to a robust probation department and a specialized drug court docket, to see that those who commit misdemeanors do not graduate to committing felonies. We are not able to solve all problems in the Meigs County Court, but we can certainly do our part — and we must do it well. If elected, I will see that the Court’s criminal and civil docket is run efficiently, effectively, and in a friendly manner that serves the public and the litigants who come before it. Finally, know that I will decide the cases that come before me in a fair and impartial manner, adhering to the law, no matter the outcome, exercising my judgment to the best of my ability. I humbly request your vote for the position of Judge of the Meigs County Court.